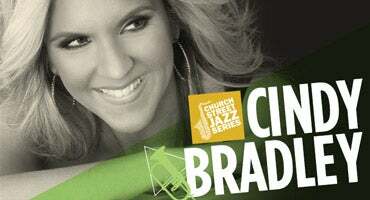 Since being signed to the Trippin' N' Rhythm record label in 2009, Cindy Bradley has blossomed into a powerful and charismatic presence on the contemporary jazz festival circuit, earning seven number one Billboard singles along the way. Cindy has performed everywhere from the Seabreeze Jazz Festival to Dubai Jazz Fest. She won Best New Artist at the American Smooth Jazz Awards, Brass Player of the Year and Best New Artist at the Contemporary Jazz Awards, and named Debut Artist of the Year by the Catalina Island JazzTrax Festival and Smooth Jazz News. After earning a bachelor’s degree in jazz studies and music education from Ithaca College, Bradley went to the New England Conservatory to pursue her master’s in jazz trumpet performance; at the conservatory, she studied with and was influenced by many jazz greats including John McNeil, Bob Brookmeyer, Jerry Bergonzi, George Russell and Steve Lacy. Post-graduation, Bradley immersed herself in the vibrant NYC jazz scene, discovering equal passions for straight ahead be-bop and contemporary jazz, as well as funk, Top 40, R&B and jazz fusion. Bradley has performed for thousands of jazz lovers over the years, playing such renowned events as the Big Bear Lake Jazz Festival, Omaha’s Riverfront Jazz and Blues Festival, the Balcones Heights Jazz Festival in San Antonio and the Seabreeze Jazz Festival. 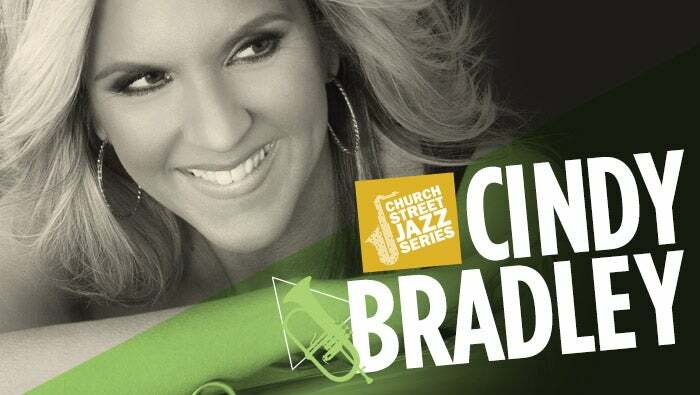 Blue Pyramid Productions is proud to have trumpeter Cindy Bradley headlining the 4th performance in the 4th season of the Church Street Jazz Series at The Attucks Theatre in Downtown Norfolk.